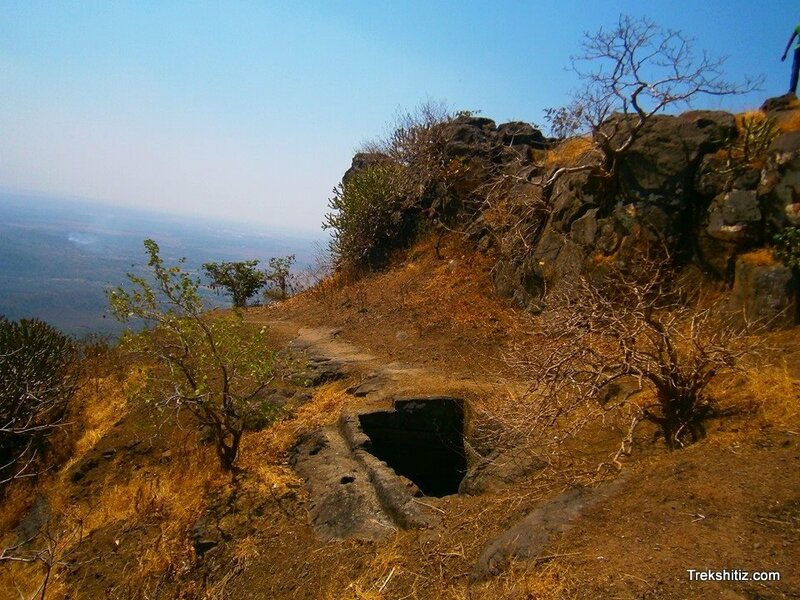 Palghar region in Thane District has many Hill forts. Being close to city, Mumbaikars happily enjoy those as one day treks. All these forts lie on the boundary of Javhar and Thane. Due to availability of good forest land, healthy population of tribes still exists. They live a quite backward life. Kaldurg cannot be called a fort in traditional sense. It shows no signs of being a fort. It could have been a location for observing and keeping a watch on the region (Tehelani). Top of the fort is just a big rectangular rock. Due to this rock it�s quite easy to locate the fort from a distance. The area should comprise half an acre. On the plateau under the rock patch, there is a big water tank. A cistern can also be found. The fort can be conceived as divided in 2 parts namely top of the fort and plateau below. 2-3 steps help us to get on the top from the plateau. From Mumbai one can reach Palghar via Virar or ST service is available from Kalyan to Palghar. Taking ST to Manore, we get down at Waghoba temple. The small way to the right of the temple takes us to the fort. We can recognize this route by a hand-pump at the start. It lies exactly ahead of the pump. Moving ahead it divides into three ways. Leaving left and right we take the central one. One has to carry food stuff. Water is available in tanks throughout the year.